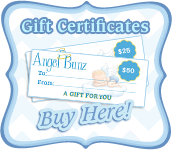 Angel Bunz is owned by Lisa Carey and is located just outside Los Angeles California. Lisa is the mother of three boys. Lisa chose to use cloth diapers as one of many changes she made in her home to help her family live a greener life. She used paper diapers on her first son and switched her second son to cloth after learning about all the chemicals, including dioxin, which is in paper diapers. Since then she has made many changes in her home and lifestyle to lessen her carbon footprint and help her family live healthier lives. Some of these changes include using cloth napkins, safer cleaners, safer bath and beauty products and banishing plastic bags from grocery bags to sandwich bags. In May 2009 she purchased Angel Bunz and Green Diaper Store. 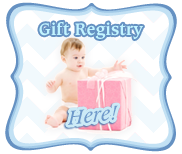 Angel Bunz (http://www.AngelBunz.com) and Green Diaper Store (https://www.greendiaperstore.com) are web-based retail stores that specialize in reliable, cost-effective, environmentally friendly cloth diapers and other green products for the family. We offer expert help, large in-stock selection and pickup in West Hills or shipping to almost anywhere. She hopes to change the world one bottom at a time!